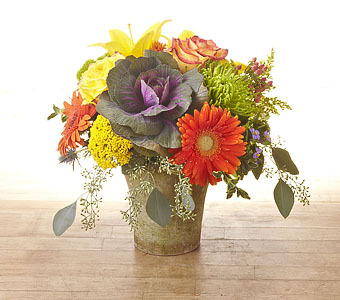 Happy Canyon Florist delivers flowers to Castle Rock, Colorado every day. We also deliver to all Castle Rock hospitals, churches and funeral homes. Castle Rock is a town located in Colorado. It’s the county seat of Douglas County and is a part of the Front Range Urban Corridor. With a population of slightly less than 50,000, Castle Rock is home to many families and several large employers. The largest is the Denver Technological Center. In 2010, Family Circle Magazine ranked Castle Rock as the number one city on its list of 10 Best Towns for Families. It has also been ranked highly lists of excellent places to live by Forbes, Money, and American City Business Journals. The area around Castle Rock was originally settled by Arapahoe and Cheyenne tribes, but later settlers immigrated to the area during the gold rush and the Homestead Act of 1862. A permanent settlement was founded in 1874, but not because of gold. Instead, the area was settled to mine rhyolite, a rock used in landscaping and jewelry. Castle Rock got its name from the tower-shaped butte in the center of the town.